Jared is a fourth year Brooklyn College Anthropology major working as research assistant processing digital imagery. He has worked in the field surface-collecting, screening and quarrying for fossils for credit in ANTH 3410, "Geology and Paleontology of the American West." 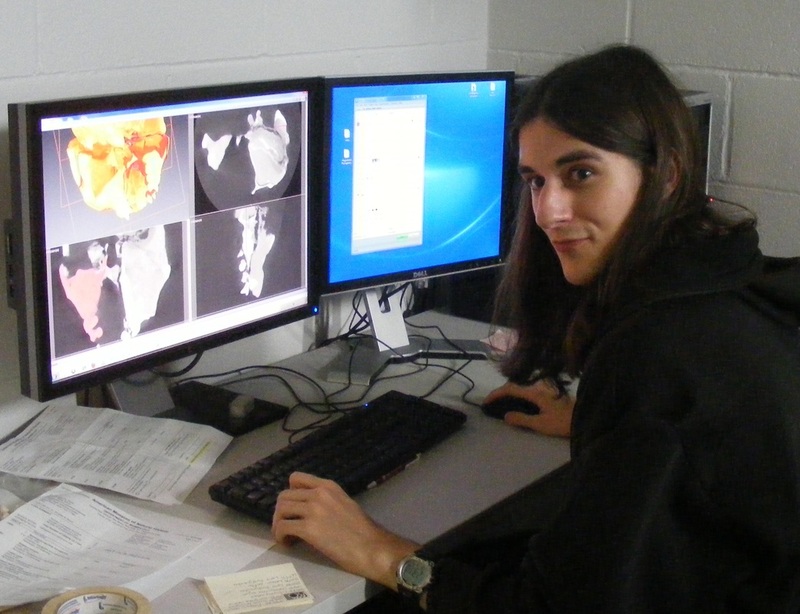 He is working on an independent research studying how surface area of the medial tibial facet varies across primates. His contributions are currently funded by an NSF BCS grant. Alejandro Diosa graduated with an Anthropology major from Brooklyn College in May 2011. 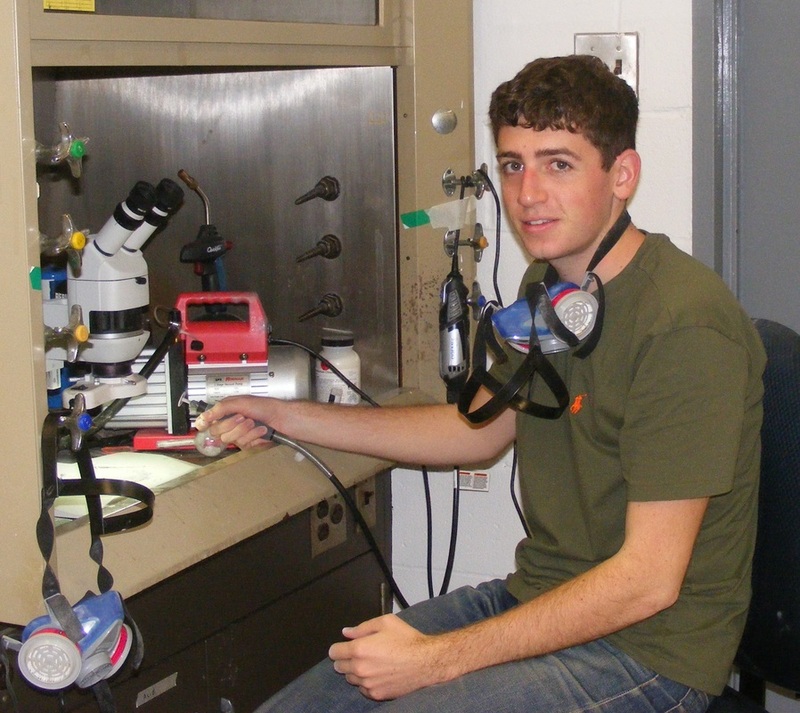 He worked as a research assistant preparing small bones of late Paleocene and early Eocene mammals from freshwater limestones using acid-etching techniques in 2011. his contribution to lab work is funded by a PSC-CUNY grant. He completed an independent research project in comparative morphology with Boyer in 2010. Diosa also serves as editor of a literary Journal. He is planning to apply to graduate school this year. Asher graduated from Brooklyn College in May 2011 with a major in Anthropology. He worked on all manner of projects in the lab from August 2011-August 2012 and his efforts were supported by several different funding agencies. He processes digital imagery, does photography and processes physical replicas of specimens for scanning. He is pursuing an interest in urban planning now as an intern in Brooklyn. 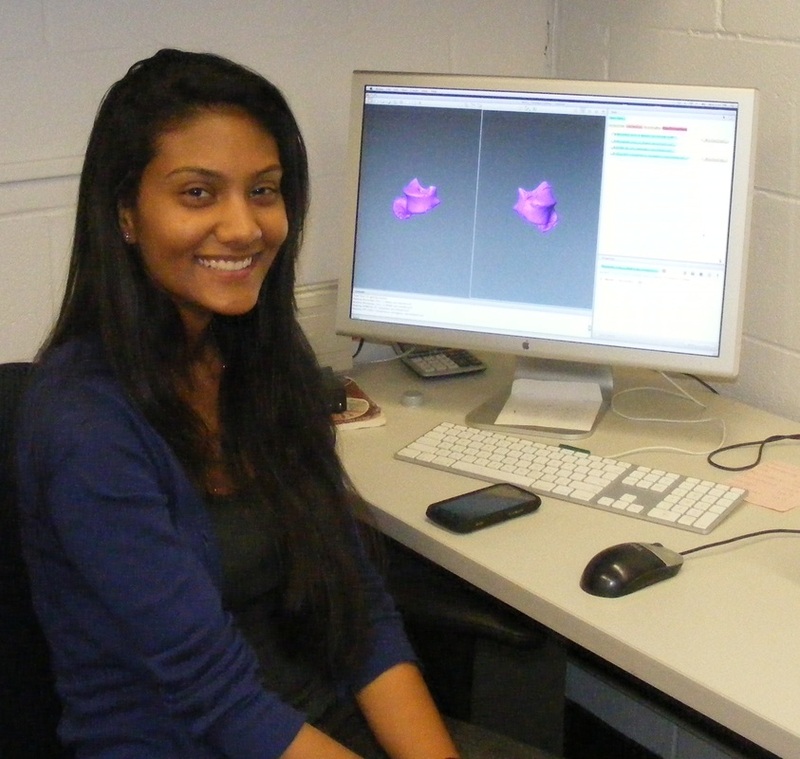 Amrita is a senior at Brooklyn College majoring in Anthropology. She is in the Brooklyn College Scholars program. She began helping to investigate patterns of variation in the primate astragalo-calcaneal complex as an honors project for an introductory physical anthropology class in Spring 2011. Now she is advanced that research through independent study in the lab and presented a poster at the 2012 meeting of the American Association of Physical Anthropologists in Portland Oregon. Amrita also completed Boyer's field school in summer of 2012. She plans to apply to graduate progams in Physical Anthropology in fall 2012. Like Amrita, Josh is a Senior at Brooklyn College. He is also on a pre-med track in the Macaulay Honors College. He honed is fossil hunting skills in ANTH 3410 "Geology and Paleontology of the American West" this summer and is now working with Amrita on independent research in the lab measuring variation in morphology of primate ankle bones and evaluating the functional and phylogenetic significance of the pattern they are deciphering. *Both Amrita and Josh are contributing authors to a submitted research abstract for the 2012 American Association of Physical Anthropologists meeting. Jonathan has a strong passion for scientific inquiry especially when it comes to understanding the mechanics of the human mind and the neurobiological and evolutionary basis for consciousness and cognition. He graduated with a major in Pyschology at Brooklyn College and is now a graduate student at CUNY. His research in the lab included reconstructing the crania of early euprimates inorder to investigate morphology of brain endocasts as well as sensory systems such as the cochlea, semicircular canals and orbits. Further he worked on digitally extracting matrix-obscured, unpreparable jaws of Cretaceous Mongolian Insectivores for study. Finally he processed hundred's of digital scans of ankles as an employee funded by Boyer's NSF ankle grant.